Astute observer of culture and history John Michael Greer articulates the broad implications of the end of cheap energy. Excerpts below. Follow the link to read the whole essay. Link: The Archdruid Report: The Age of Memory. 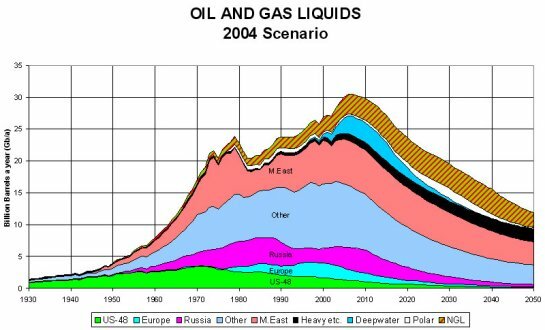 …The end of the age of cheap energy has many implications, but one of the most important – and most daunting – is that it marks the end of the road for nearly all the cultural trends that have guided the industrial world since the paired industrial and political revolutions of the eighteenth century. Those trends pursued greater size, greater speed, greater power; the replacement of human capacities with ever more intricate machines, demanding ever more abundant energy and resource inputs; an escape from the interdependence of living nature into an artificial world transparent to the human mind and obedient to the human will. That way to the future is no longer open. The nations of the industrial world could pursue it as far as they did only because abundant reserves of fossil fuels and other natural resources were available to power Faustian culture along its trajectory. The waning of those reserves and, more broadly, the collision between the pursuit of unlimited economic growth and the hard limits of a finite planet, marks the end of those dreams. It may also mark the beginning of a time in which we can sort through the results of the last three centuries, discard the ones that worked poorly or demand conditions that no longer exist, and keep what still has value. One useful way to talk about this process, it seems to me, is to borrow a common habit of talking about history and put it to work in a new way. Not that long ago it was common to describe the medieval period in the Western world as the Age of Faith, and to contrast it smugly with an Age of Reason that was held to have dawned with the first stirrings of the scientific revolution, and come into its own with the Enlightenment of the eighteenth century. Oversimplified though these categories are, they point up certain important distinctions between the phases of our cultural trajectory that were primarily guided by religious thought and those guided by the expansive Enlightenment belief in the limitless power of human reason. That latter belief is on its last legs just now, because the effort to direct human behavior solely according to reason simply didn’t live up to its advance billing; the inevitable reaction is following. Thus the faith that unchecked rationality is a ticket to Utopia, or the only hope of the human future, or whatever other set of religious ideas might be assigned to it, is wearing very thin these days, and the decline of today’s technological infrastructure in the wake of peak oil may just put paid to it. Reason will doubtless retain an active role in our collective life, just as faith has done, but other forces will likely take the lead in the decades and centuries ahead of us. Thus it may not be inappropriate to suggest that in a very real sense, the Age of Reason is ending. If Spengler is right, what will follow it is an Age of Memory, where the collective imagination of the West turns back to contemplate its own past and extract the most useful elements from a thousand years of innovation. The cultural conserver concept, which I introduced in an earlier post here, represents one workable response to that possibility. I plan on discussing that in more detail, and in more practical terms, in the weeks and months ahead – subject to the usual interruptions, of course.